Our bank needs talented starters and young professionals. BNP Paribas’ diverse and motivated workforce strongly contributes to reinforcing its position as one of the top performing financial groups. The BNP Paribas subsidiaries active in Belgium offer employees competitive rewards and comprehensive benefit packages. BNP Paribas is committed to supporting the development and growth of its employees throughout their professional careers. Learning and career development are the cornerstones of this approach. The BNP Paribas companies provide a wide range of training opportunities in terms of personal development, industry-specific know-how and talent development. 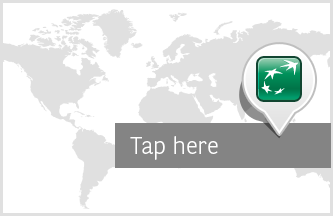 As the BNP Paribas companies belong to a worldwide group, being part of one of them can add an international dimension to your job if you wish.